This is an interesting project in that all the kids were given sheets of paper divided into nine sections. In each section a line or partial shape was already printed in the section. Their duty was to complete a drawing in each section. We called this project, “Do You See What I See?” Make up your own sheet of lines and shapes or use the pattern included. Go to “Do You See What I See” in the 3rd Grade Projects Gallery in the sidebar for complete instructions. 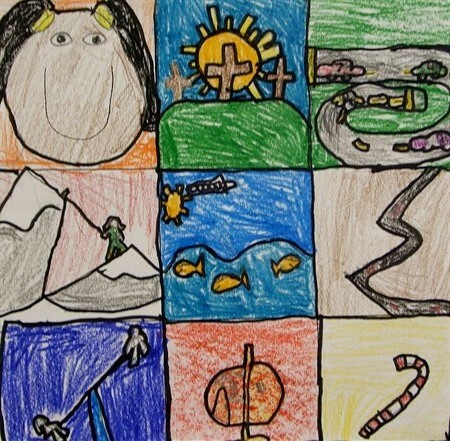 This entry was posted in 3rd Grade and tagged art and crafts for kids, art project, art project for kids, childrens art project, do you see what i see, drawing, for kids, the same but different. Bookmark the permalink.